This photo makes me smile for several reasons. 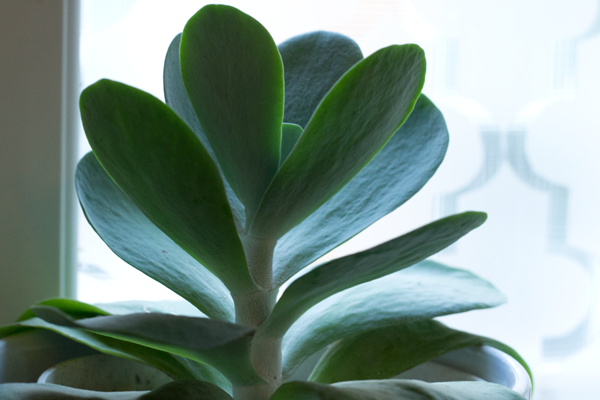 First off, it’s of a succulent which always makes me happy. Secondly, this paddle plant is a memento from a trip to Dallas last December. And third, you can just make out the Moroccan treatment I did on my kitchen window; I’m still loving how that turned out.